Did you suffer a pedestrian injury in Frederick, MD? More than 5000 people are killed each year in vehicle accidents, and around 75,000 pedestrians are injured. Suffering a pedestrian injury in Frederick, MD, is tragic and in most cases, it is the result of the driver’s negligence. With the help of a personal injury lawyer from Frederick, MD, you can prove the driver’s liability and receive the compensation you need for your recovery, pain, and suffering, lost wages, therapy, etc. You have rights as a pedestrian but also duties. Your Frederick injury lawyer will tell you that a pedestrian is defined as a person on foot who is waking, running, jogging, lying down, sitting, or hiking. On average, every 8 minutes a pedestrian is injured by a motor vehicle. To better understand what can cause a pedestrian injury, you need to know the rights and duties each pedestrian has. If the road has a sidewalk, it is mandatory for the pedestrian to walk on it. If the road has no sidewalk, the pedestrian must walk alongside the street, facing traffic. Pedestrians need to respect the traffic lights, do-no-walk and wait signals, as well as other pedestrian safety devices and warning. Pedestrians are also obligated to use their common sense. A pedestrian has to be aware of their surroundings and be prudent in certain circumstances. 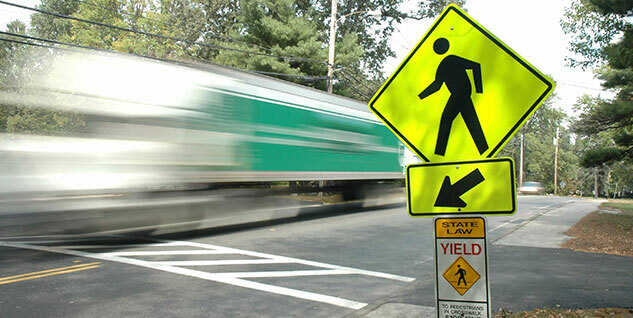 Even if a pedestrian has the right of way, they still need to be vigilant and be on the look-out for danger. Your Frederick injury attorney knows these pedestrian rights and duties, and if you suffer an injury caused by a motor vehicle, you could receive compensation. With the help of your personal injury attorney from Frederick, MD, you can file a claim and bring the culprit to justice. Your Frederick injury lawyer might reach a settlement with the driver’s attorney, a situation where your case will no longer become a lawsuit. Distraction due to eating, texting, listening to music, talking on the phone. The first thing you should do after suffering a pedestrian injury is to get checked out by a doctor. Then you should contact your Frederick injury attorney. Your personal injury attorney from Frederick, MD, will gather the evidence needed to prove the driver’s liability and to ensure your compensation. For more information about pedestrian injuries, you can contact the best personal injury attorney at (443) 569-3950 or by sending an email at [email protected] for a free consultation of your case.